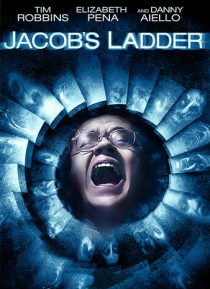 Tim Robbins is Jacob Singer, a man who lives in a nightmare. Wounded in Vietnam, he's now back at home in New York City. Torn between the memories of his son and terrifying wartime demons, Jacob is slowly losing his grip on reality. His beautiful girlfriend (Elizabeth Pena) only adds confusion to his life, drawing him into a web of sexual intrigue, but ultimately, it's his friend Louis (Danny Aiel… lo), who turns out to be the only one Jacob can truly count on.